There is no shortage of inexpensive survival items that can actually get you killed. Counting on your kit is essential when things go dark yet when it really matters, there is also no lack of folks who are fine with trusting their survival to the lowest bidder. And that doesn’t even include the issue of redundancy of cheap things. Of course it’s your call as to where you draw your quality and expense line, however less-but-quality always beats more-but-poor-quality. And that goes double in a survival situation. 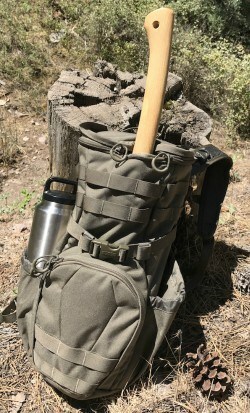 Cutting to the chase, let’s take a look at five essential survival items that can get you killed if you err on the side of cheap because there is often a very good reason why quality kit costs more even though the higher price might only add a 10% increase in performance or accuracy. But it is in that narrow 10% where survival is found. Compass: In reality, a compass only points north. That is its job with the rest of the navigation up to you. 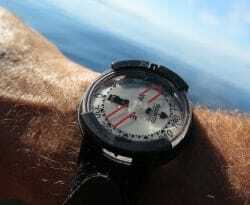 While usually no problem, a faulty compass can mislead you into a false sense of orientation. Unfortunately a compass will always point somewhere. Unlike a knife that doesn’t cut, or a flashlight that doesn’t turn on, a compass will behave as if all’s well even when it’s not. And worse, a compass may give incorrect information ranging from slightly off to completely backwards, and anywhere in between. This list started with the compass because it is the most likely to be sold in cheap kits. Compass Rules of Thumb: Stick with the brands of Silva, Suunto, or Brunton in that order. The bigger the compass, the likely more accurate and durable. Keep your compass away from shock, magnets and temperature extremes. If you are comparing compasses, keep them at a foot apart or they will alter each other’s needle’s direction. Knife: Cheap knives are a pet peeve of mine. 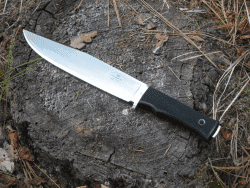 Not that you need a high-priced custom blade, but since the knife is an essential component of any survival kit, cutting corners with your cutting steel is a bad idea from every angle. Like the compass, a knife can be deceiving. Even cheap blades can cut something. Where the cheap knife becomes dangerous is when the knife must perform under pressure. Quality directly affects steel strength, ability to hold an edge, and the obvious need to be resharpened. Cheap folding knives can snap in half, unlock when least expected, and fail in multiple mechanical ways. Cheap fixed blade knives can also snap in half, bend, chip, and dull quickly. And once dull, might not easily take a new edge. The deception with a cheap fixed blade is that until push really comes to shove, the true cheap nature of the blade may remain hidden. Spending more for a quality blade will yield many happy returns. But skimping on your primary blade is giving up before the battle even starts. Knife Rules of Thumb: Stick to USA made knives or known factories overseas from Finland, Japan, Germany, or England. Learn to sharpen your own knife, and keep it that way. But if your blade dulls easy, chips or rusts, start looking for another blade. Modern super steels are high performance and low maintenance. Leave the antiques for kitchen duty. Flashlight: As the only electronic item on this list, the flashlight has more points of failure than other mechanical-only devices. Flashlights in the hundreds of lumens are available from a couple bucks found in the grocery store checkout line, to a couple hundred bucks from high-end manufacturers who cut no corners and only use the highest quality parts. With flashlights there are many things to consider, but the two primary concerns are 1) quality of the LEDs, and 2) quality of the circuits. The LEDs or Light Emitting Diodes, are the things that provide the light. They are made by the thousands if not millions, but not all are equal. When produced in mass quantity, there are vast differences between those LEDs that are rock-solid high performers, and those that merely look like LEDs but will fail rapidly. Failure often happens with the LED coming apart, falling off its panel, or burning up. Those companies that produce high end lighting tools test each and every LED ensuring only those with the proper performance pedigree get into the assembly line. And the circuitry connecting the LED to the battery is a solid electron pathway designed for not only the proper voltage, but also intense shock, water intrusion, corrosion, and general durability. 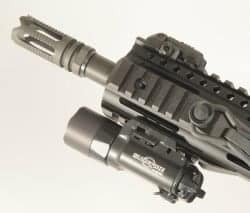 Flashlight Rules of Thumb: Buy name-brands like Surefire, Streamlight, 4Sevens, Pelican, and those lights with a reputable company behind the name. AA batteries are general purpose, but use the CR123 batteries for serious use. Avoid AAA unless you need a tiny light. Triple-A batteries are low power with short life. Backpack: The humble backpack is often little more than an afterthought. A bag with straps. If it’s a bag and got straps, then it’s good to go. The sad fact is that not only are backpacks unequal, but many are downright dangerous. As costs are cut, so are corners. But those cut corners don’t appear right away on the store shelf or online catalog. Instead those missing corners rear their ugly heads when needed the most. Straps tear. Hardware cracks. Seams rip. And zippers fail. Even the best packs can run afoul of Mother Nature, but a quality pack will fight to the end while a cheap pack already gave up the fight before ever leaving the store. Carrying your life-sustaining gear is not a job for a second-rate pack. If you have to run flat out with your kit bouncing like a kangaroo on your back, any weaknesses will quickly start launching gear in all directions, And that’s assuming your shoulder straps don’t rip off leaving you with a little more than a laundry basket. Ammo: I know it’s tempting to pick up a box or two of shells when on sale or even stockpile a case of some obscure brand of obscenely low priced cartridges, but you might just be making the biggest mistake of your life. An exaggeration? Perhaps, but cheap ammo can be dangerous to both you and your firearm. Inexpensive ammo can only be made by cutting some serious corners. The powder may be impure or corrosive, the bullets asymmetrical and scratched, and the cases out of tolerance. And even if the gun cycles and goes bang, the cases may be non reloadable, the primers bulged, the velocity a variable, and the accuracy involves luck. Some would argue that cheap ammo is fine for practice, but you wouldn’t use cheap gas in your Bug Out Vehicle when times are good, or run dime-store batteries in your valuable electronics just because you are safe at home. This list of five cheap things that can get you killed is far from comprehensive, but many of the same lessons can be applied to the rest of your gear.